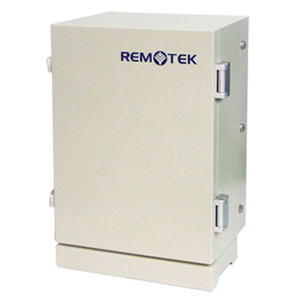 Remotek’s cable booster can be deployed as a cost-effective solution for indoor coverage extension with a BTS or repeaters. The Cable Booster also has the Intelligent Mode embedded. Hence, the interference can be minimized. Mobile operators have options of managing Remotek’s cable booster either via local access or remote control. Since the cable booster supports the remote monitoring function, users can configure and manage multiple cable boosters through an intuitive GUI from the remote control center via a wireless modem. Remotek’s cable booster would reduce the overall cost of signal coverage extension without implementing additional BTS. It can be applied to shopping malls, exhibition halls, and high rise buildings.